8 PRIME LOCATION BUILDING LOTS IN MUCH SOUGHT AFTER NORTH HALL SCHOOL DISTRICT. ALREADY PERMITTED FOR SEPTIC. 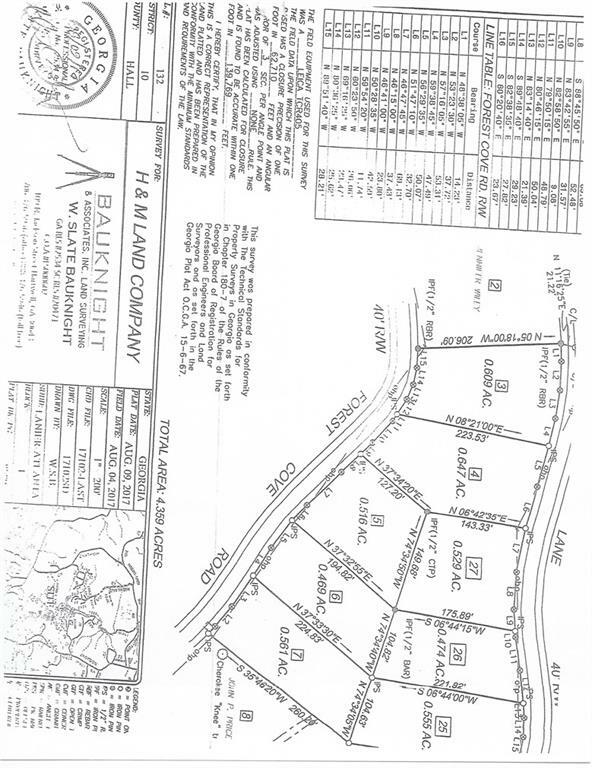 THERE IS A TOTAL OF 8 LOTS 5216, 5222, 5228, 5234, 5240 LAUREL LANE AND 5233, 5237, 5241 FOREST COVE RD. EVEN THOUGH THE PROPERTY IS SHOWING IN A SUBDIVISION THERE IS NO COVENANTS. MOBILE HOMES ARE NOT ALLOWED!! I am interested in 5216 Laurel Ln, Gainesville, GA 30506. Listing Provided Courtesy Of: Savage Real Estate and Auction Company, Inc.